Someone very wise once told me: “If you want to make an omelet, you have to break some eggs.” Two years ago today, my husband John proposed marriage while we were enjoying a breakfast of omelets at one of our favorite haunts in Oberlin, Ohio—the Black River Café. We had been dating for a little more than seven months. We were each in our 50s. We were about to break a whole lot of eggs. Nothing worth having in life is without sacrifice, which is what my sage friend was getting at. John was most definitely worth having. There were, however, a few built-in challenges. At the time of John’s proposal, he had been out of work for a year and in the midst of a nationwide job search. The chances were slim-to-zero that he would find a position in his field that would keep him—I mean us, for we were becoming an us—in Northeast Ohio. I was quite aware that by accepting his proposal, life as I knew it could change seismically. The metaphor represented by our breakfast was not lost on me. I’ve written about this subject before, in an essay for the Richmond Times-Dispatch, so I’ll try not to go over old ground. What strikes me about this lovely little anniversary we’re marking today is not so much the eggs that we broke (for that you can read the essay), but the omelet we’ve made and continue to make. Tom Hanks’ character Forrest Gump famously said: “Life is like a box of chocolates. You never know what you’re gonna get.” With all due respect, I think that somewhat misses the mark; it suggests that you just sit back and let life come at you, like a barrage of chocolate-covered confections. Sure, you make a selection from the sampler, but it’s already there for you, prepared and preconceived. Or, if you like, preordained. For my money, life is more like an omelet. You have to break something (or break with something)—a routine, a way of life, the place you’ve lived—to create anew. You can fill it with whatever you like, and it sustains you. But the key difference is this: you are an active participant in its making, rather than a passive recipient in the taking. So what is this omelet that John and I are making, anyway? It derives, as I said at the outset, from a whole lot of broken eggs: a move to a different part of the country, a new job for him, a new career path for me, a separation for both of us from our children. This omelet/life of ours is spartan because of where we’re starting from—we won’t get fat off of it. A year-long layoff brings with it debt; an inability to find work in a new city means a career change and a sporadic income. We’re building this new life with an eye toward nutrition rather than frills. What do we need? What are the essentials? What can we postpone or get by without? We allowed ourselves a wedding, to mark the life-moment for us and for our children so we would all have a real, glorious memory—but we have postponed a honeymoon. We rented for almost the first year of our marriage, then bought a house that we could afford, not one that would have given us more space. We curtail what we spend on entertainment, on clothing, and on anything that doesn’t contribute to getting us back on solid financial ground. 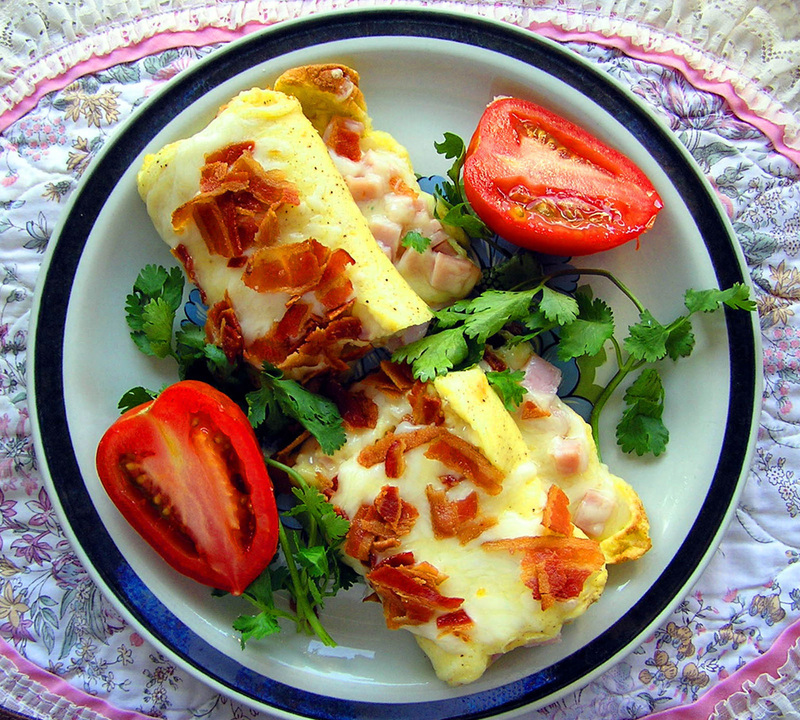 No, we’re not getting fat from this omelet. But from these limitations comes a real awareness of what is most important in life: our love, our life together, our health and our happiness. This life, now, with its challenges and limitations, is delicious. Remarriage at life’s midpoint brings with it an awareness of something else: ephemerality. I should add then that our omelet/life is notable for its shelf-life. We know we won’t live long enough to celebrate a 50th wedding anniversary. If we make it to our 80s, we could swing a silver anniversary. But no one knows this better than we do: You can get married in your 20s and 30s and have no guarantee of a golden wedding anniversary. So the bottom line is this: we don’t know how many years we get together. None of us do. And this is why John and I celebrate these sweet little milestones in our life together. Hmmm. You’ve made me think about the omelet I’m now enjoying from the eggs I’ve broken. Thanks, Marci. What a great blog and a point for reflection! When my husband and I met each other, we didn’t know where life would lead us. We didn’t have anything either so we basically started from scratch. The thing that sustained us is our love and faith in each other and we realized that that was more than enough. Thank you so much for your kind comments, Malou. Yes, love, coupled with faith, is a powerful force.